If you have a home with a mortgage on it or are financing a home to purchase then homeowners insurance is required to be held by the owner/buyer. Lenders loaning on the property whether new purchase or a refinance must protect their investment to ensure it’s safe in the event of a catastrophic event. Much like a lender determines your borrowing ability due to your FICO credit score, insurance companies also use your credit score to guide them on how many claims you might experience in the future which lets them know what to charge you for your insurance premium. In case you’ve been living in a cave for the past 50 years, a credit score is the rating system for you to borrow and repay money. FICO, originally called Fair, Issac and Company who is named after the founders Bill Fair and and Earl Isaac is the system used to measure the timeliness of your payments, current and past balances, how long your accounts have been open, if you’ve recently opened accounts and the credit types you use i.e. auto loan, home loan, credit cards, etc. Homeowner insurance providers use your FICO score to measure the amount of risk you are to them. Yes, insurance providers make money in the business of risk but they want to limit their liability obviously as much as possible. Using your credit score helps them to determine just how much of a risk you are based on your financial responsibility. With that information they can calculate your estimated claims each year which equate to premium charges. Statistically, individuals with lower credit scores will often be expected to have more insurance claims than someone with a higher score. The insurance providers use this information to quote rates and of course individuals with higher scores (those who are considered more financially responsible) are offered the lower rates. How to get the best rate on homeowners insurance? In order to get the best rates you must be educated on the process that the insurance company uses. Ask your insurance provider how they rate their clients and what system they use to score their clients. Don’t be afraid to ask the agent if you’ll receive their best available rates and if not ask why and what you need to do in order to qualify. Generally, when you increase your credit score it would be safe to say you’re also reducing the insurance companies risk on you thus you should see a reduction in your insurance premium. In order to increase your credit score make sure you’re making your payments on time and if you have credit cards, reduce the balances to under 25% of the available limits. Locating a company that you want to work with can come in many ways; friends or family referrals are always the best source but a good ‘ol fashioned google search for “Homeowners Insurance also works wonders. Call around and seek the best rate and coverage for you and your situation. 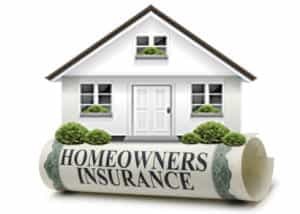 Hopefully this article has assisted you in learning more about homeowners insurance. If you have any additional questions, please feel free to contact us or leave a comment below.